One of my biggest hobbies, which is also a part of my job responsibilities, is reading books. The books I read are mostly on technology, methodologies, management practices, and so on. Recently, while returning from a work trip, I picked up a copy of “Crushing It” by Gary Vaynerchuk. Vaynerchuk is perhaps not the typical author anyone would be reading, but he is a great inspiration to me and my son. It all started with my son’s dream of becoming a YouTube star. The new “Fireman” or “Pilot” of the current youth. After some father–son conversations on why a Plan B might be a good idea (traditional as I sometimes am), we decided to analyze what good YouTubers really do. And that’s when Gary kicked in. After taking his family’s traditional wine business to a new level with Winelibrary TV, he embarked on the path to become a social media rockstar. The main reason for Gary’s success, in my opinion, is his willingness to share his knowledge. He is not sitting on his unique little thing, but wants to help the community grow by leveraging his expertise and experience. Now, this brings me to Innovation. 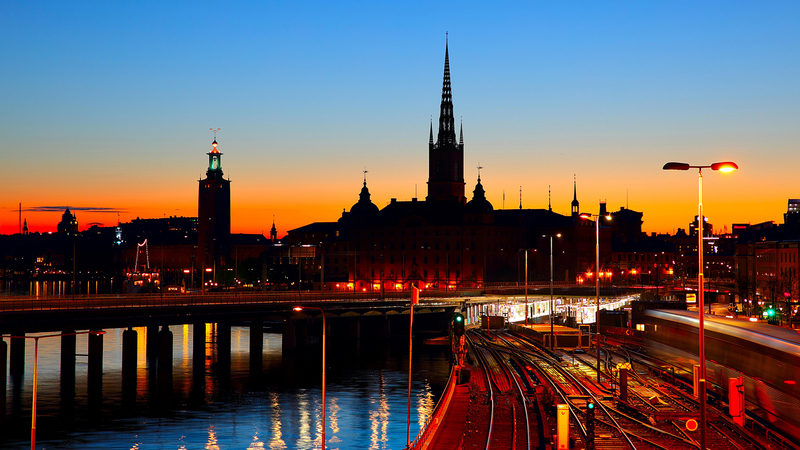 On April 12 we will open our latest Applied Innovation Exchange in Stockholm. But why Stockholm? What makes it special? Well, primarily because of the large number of start-ups and the ecosystem the city has fostered. It has even become the second largest start-up hub after Silicon Valley, if you measure the number of Unicorns per capita. Rather than just lying back and enjoying this fact, I would like to deconstruct the reasons for this unique culture. As with some of the founders of Silicon Valley Unicorns, the founders of the Swedish Unicorns (companies like Skype, Spotify, Minecraft, and Candy Crush Saga) were also “Too Young to Retire.” The companies were sold in a relatively early stage, so the founders wanted to create more impact with others as well. Money flew back into new start-ups thereby creating a multiplier effect. Although Sweden is geographically quite large, it has only 10 million residents. With so many start-ups, you therefore already need to have an eye on international expansions to stay up-to-date with the latest innovations. This international mindset (which starts with their education system), helps to drive the growth of these start-ups. Sweden has a very strong social infrastructure which allows a vast majority of women to be a part of the workforce. In my interactions with Swedish startups, I have come across diverse teams, and found that it’s not unusual for companies to have a female CEO. Although I can’t deliver scientific evidence for this, I strongly believe that this helps to create more high-performance cultures. I once shared a joke with my colleague Ron Tolido that we should start a company around “start-up wallpapers”—anything and everything to support the creation of cool environments where people would feel inspired. However, if you want to experience this feeling, just stroll around Stockholm and I am fairly certain you will get such vibes. The city is vibrant, full of large spaces which can be all designed as start-up hubs. Add the ubiquity of restaurants and coffee bars that help shape the right atmosphere for a vibrant and creative environment—well, you get the picture. Stockholm has many factors that really make a difference. But for me it is mostly about sharing the “Too Young to Retire” factor. This is in the DNA of the Swedes. One of my dearest friends—and I always call her my heart friend—comes from Stockholm. Whenever you are in town, they invite you to their house; you can sleep over, and they take you to events, and provide you with the best experience. This is the unique thing that makes the start-up scene spread. That’s what made Gary Vaynerchuk the guy that he is today and this is exactly what makes Stockholm the second largest start-up hub in the world. It is fitting therefore, that on April 12, we will open our latest Applied Innovation Exchange in Stockholm. At Capgemini, we truly believe that innovation should be open and a part of our DNA, and sharing is the way to create value. We will build on the great interaction we already have with the Stockholm start-up community. Not only to help them connect to the large corporates and help them in scale with our specific knowledge, but to also make them learn how to start things new and how to be creative with limited means. My son is still working on his YouTube career, but he absorbed many lessons from Gary and others to really understand what is required to become successful. I hope you will join us in learning and working from and with the start-up community in Stockholm as well. Join us to make your company more successful and to help grow these start-ups. Because as one person once wisely said, dividing knowledge is the only way to properly Multiply.